A study has suggested that raising European prices of tobacco by 10% to discourage use would only cause a 1.5 per cent rise in illicit cigarette consumption. The modelling study – carried out by researchers from Taiwan on 36 European countries – suggests that the tax hike would cause overall consumption of tobacco to fall 3.1 per cent, with a 4.61 per cent reduction in licit tobacco offset by a three-fold smaller increase in the use of illicit products. The move would also significantly increase tax revenues, the authors write in the journal Public Health. 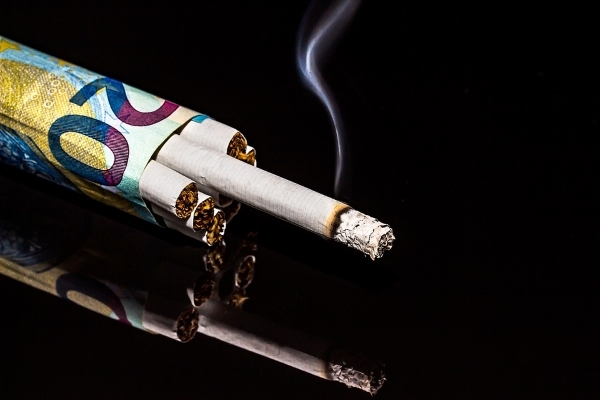 “Despite claims by the tobacco industry that tax-induced price increases would predominately serve as an incubator of illicit trade, preventing increases in tax revenues, results of this study suggest otherwise,” they suggest. Price increases would expand contraband trade the most in Poland, Latvia and Lithuania, because of their proximity to smuggling routes for tobacco products from Russia, Belarus and the Ukraine on their way to Northern and Western European countries. “In Belarus, cigarettes are sold for 15 euro cents a pack but reach a black-market value of 3 euros in Latvia, Lithuania and Poland once smuggled across the border,” they note.